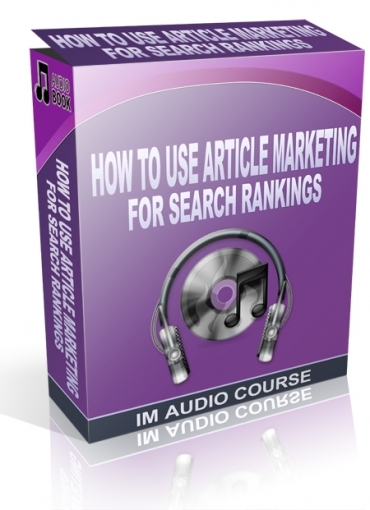 Dominate Your Search Engine Competition through Article Marketing. Yes, this is a powerful strategy that STILL works - I regularly get top 10 rankings in google using this method! Article Marketing is really help in making your site boosts its search engine rankings because you can drive more traffic and recommendations from other sites. Learn the whole details of this technique inside this audio product.